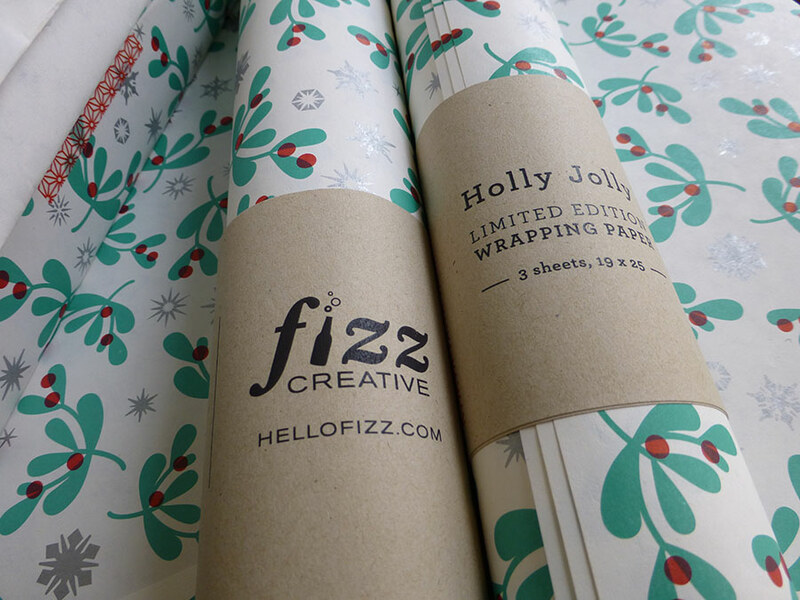 Custom designed Christmas wrapping paper we developed for the holidays. 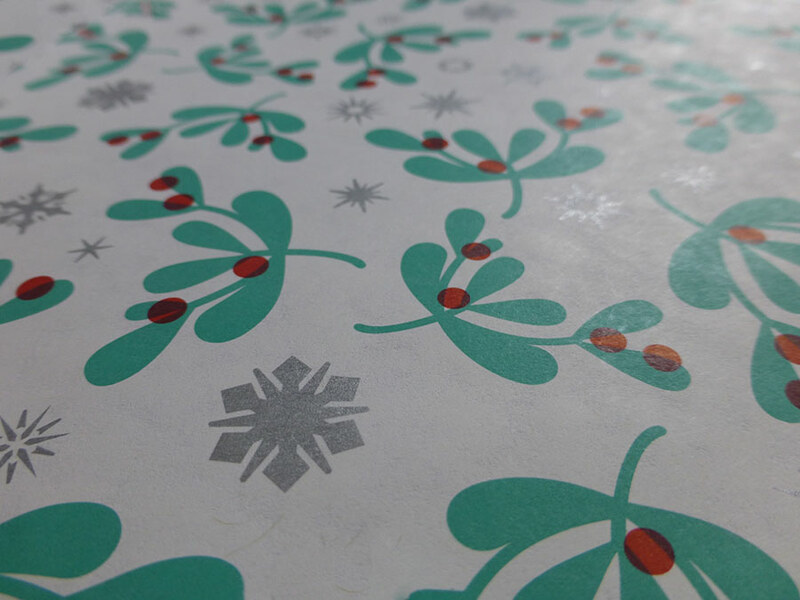 Sheets are offset printed in two colors and silver ink onto French Durotone paper, which has a unique shimmery reflective quality. 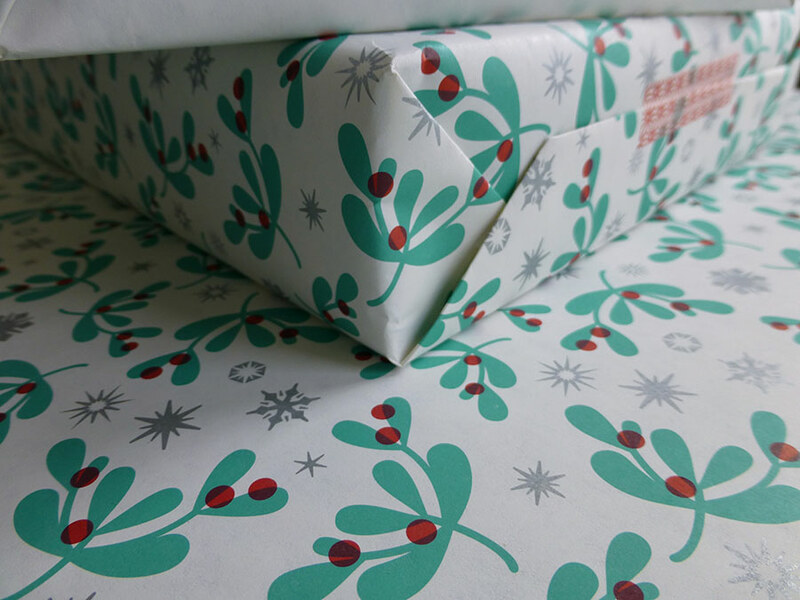 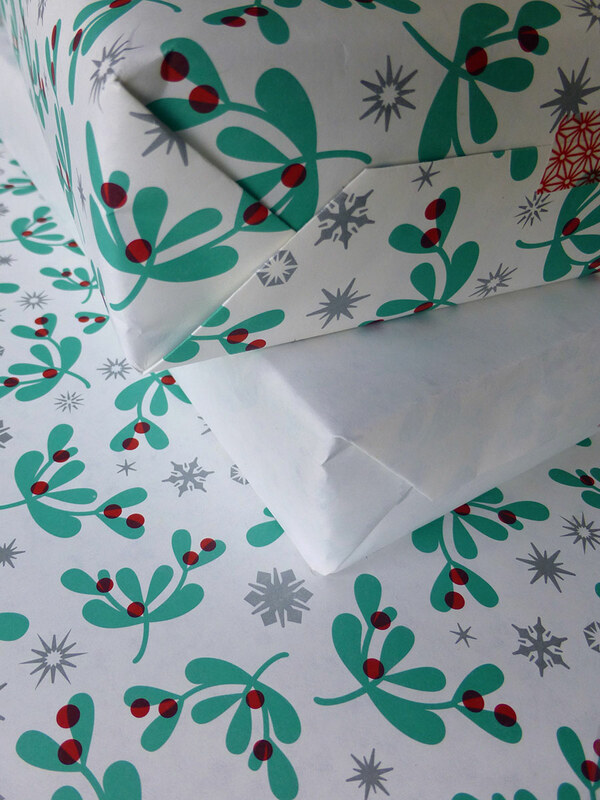 The result is a repeating holly patterned paper with a sturdy weight that will hold up to any gift in style.